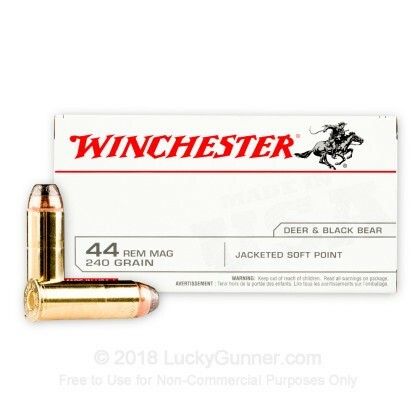 Winchester's 44 Magnum 240 grain jacketed soft point ammo is ideally suited for hunting deer and black bear. 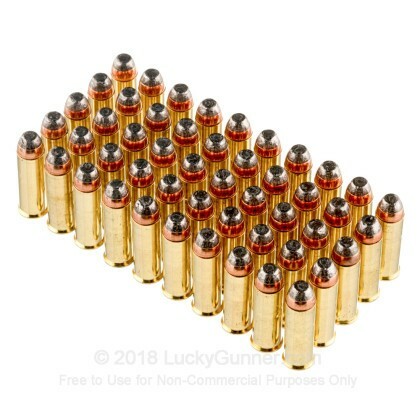 With this case size amount, you can stock up to make sure you never run out or take with you when you are with your friends. 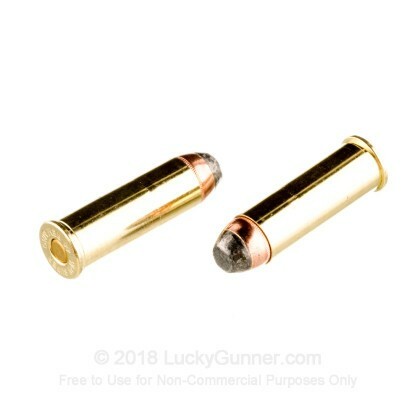 The consistent expansion along with the energy produced from this round is sure to provide the knock down power you need for hunting or self defense. 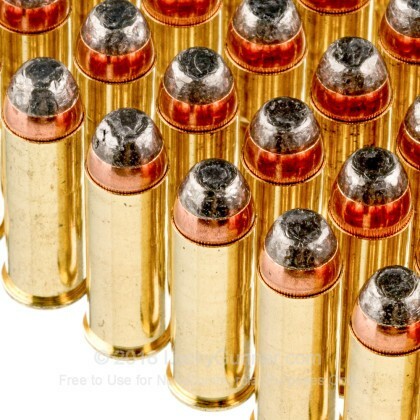 Winchester has been manufacturing ammo for over a 100 years and is sure to help bring down your next trophy. 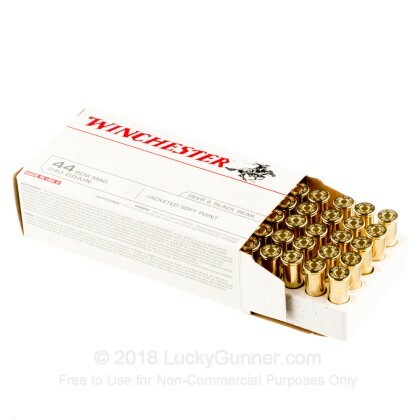 We don't have any reviews yet for this particular .44 Magnum ammo from Winchester. 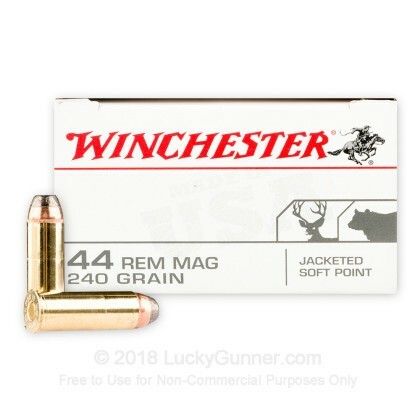 If you'd like to be the first to review this particular .44 Magnum ammo from Winchester, fill out the form below.